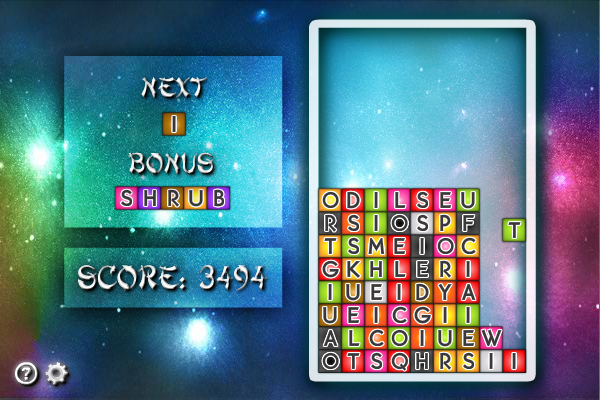 In this game you form words by arranging falling blocks of letter horizontally or vertically. Blocks that successfully formed a word will be destroyed. The game ends when a block lands on the top row without destroying any words. The goal of the game is to form as many words as possible before the game ends. TransCrypt is a program that helps translate the letters of a Cryptoquip type puzzle. It does not solve the puzzle, it helps you solve the puzzle by automatically substituting the letters for you. Hexagon is a game and your task is to put various balls on hexagon field, but you must obey some rules such as not to put two balls with the same color one next to another and to avoid placing a ball with the same color as the surrounding border. Play Crosswords on your computer! Get three fun and unique Crossword games in one, Fill-in crosswords, Jigsaw Crosswords and Cipher crosswords! Features over 100 levels, an intuitive and easy to use interface and no time-limit pressure. Create professional puzzles with Word Search Construction Kit. Enter words , select a puzzle shape and page layout, and generate the puzzle. Print, save as an image, solve on your computer, or upload to web pages and solve the puzzles online.